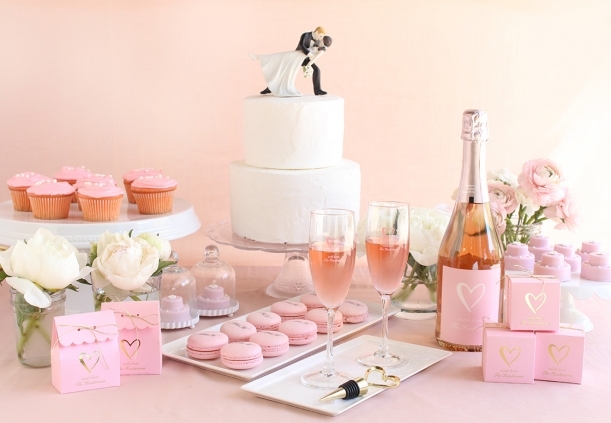 When it comes to bridesmaid gifts, there are a plethora of options out there. Why not go with something fun and different? I adore the idea of coming up with a sturdy tote filled boozy bridesmaid gifts for the wedding day and beyond. They’ll love it! Affiliate ad links are present due to our relationship with Beau Coup. 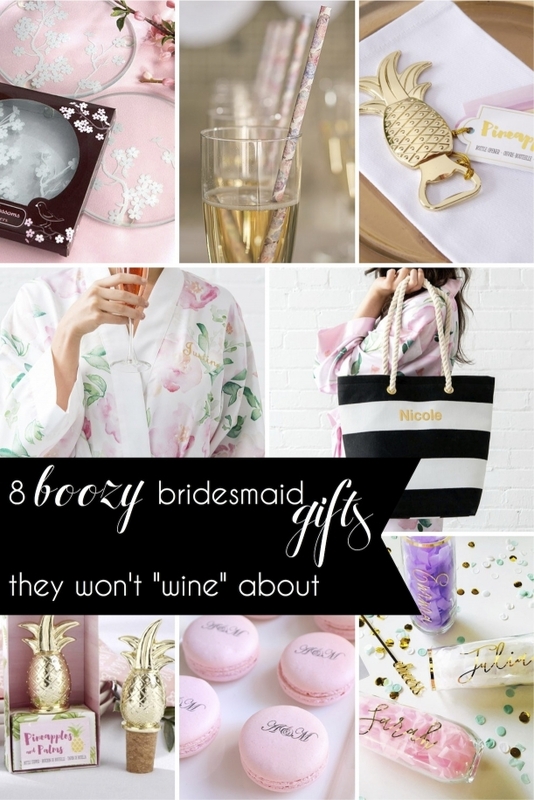 Here are our 8 boozy bridesmaid gifts meant to be enjoyed while you are getting ready for your day (and beyond!). All you have to do is add the beverage of your choice. I really promise they won’t “wine” – ideas flow as you would read left to right on each row. Weren’t those fun ideas from Beau Coup? So many great things to choose from! Honesty, I can picture ladies having a great time relaxing in their robes and enjoying drinks in their personalized glasses as they leisurely get ready for the wedding. How fun! PS. See the macarons in action below! For more bridesmaid gift ideas take a peek here! Mommy Sigrid - Oh my! These are lovely gifts. Surely, these are things that they should never whine…wine…about haha Here in the Philippines, the bridesmaids are just happy to receive gifts. Not all brides give out tokens to their bridesmaids.